Children often tend to imitate adults, especially their parents. 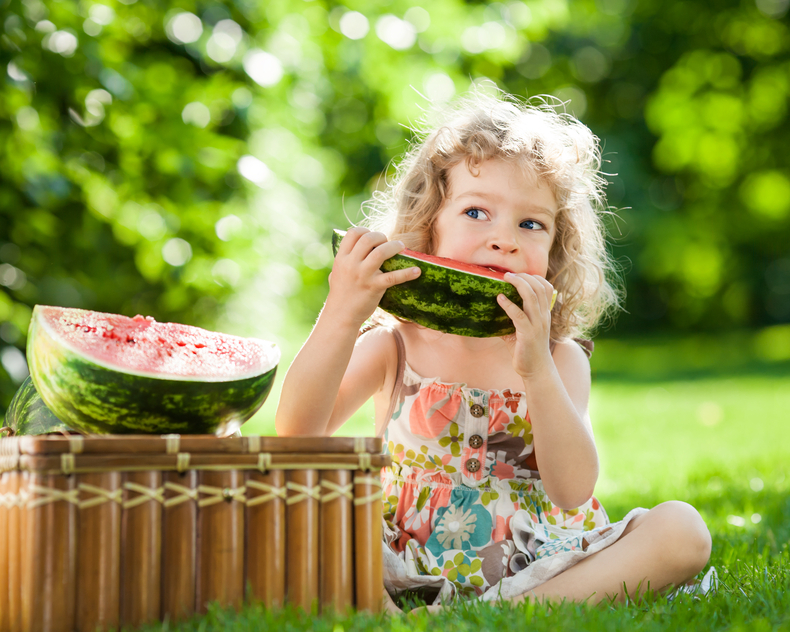 When it comes to eating habits and healthy foods, consider how we can improve our own lifestyle and give our children a good example to follow. Consider what you need to change. A lot of people nowadays suffer from obesity because of bad eating habits and overeating. 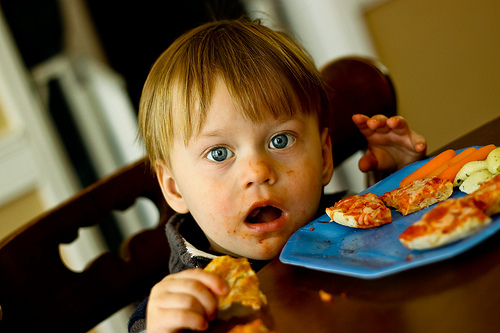 If your child sees that you eat a full plate of spaghetti just before going to bed, don’t expect him/her to take you seriously while explaining that it is very unhealthy. Also, this can be a good excuse if you have decided to get fit, but you need some extra motivation. All these foods are neither beneficial for our health, nor provide proteins, nutrients and vitamins. Scientists all over the world associate them with serious illnesses such as cancer, diabetes, asthma and obesity. 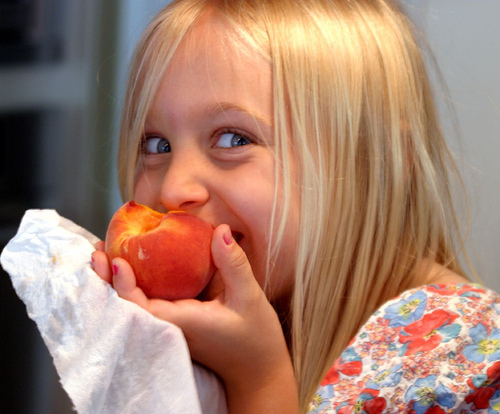 The problem exists when your child is already familiar with these foods and wants them. What is disturbing is the fact that they contain coloring agents and sugar, which make them very attractive for our children. It would be very difficult for you to make your child stop eating them. The solution? Replace sweets with fruit, chips with nuts, and ice cream with some homemade fruit smoothies. Make these changes slowly–otherwise your child will not have enough time to get used to them. It’s a very bad idea to bribe them with sweets. A sentence like: “Eat your salad and I will give you a piece of cake” will motivate your child to finish the meal, but not voluntarily. You child has to want to eat fruit and vegetables. You can teach him/her the main benefits of eating wholesome food. Replace pop with fresh water and fresh squeezed fruit juices. When having your dinner, spend at least 30 minutes on the table, without watching TV. Always keep a bowl of different vegetables on the table in the dining room. Rearrange your fridge, so that the kids would have a free access to the food you want them to eat. Get the whole family to eat at least three times a day. Never skip breakfast, which is the most important meal of the day because it recharges your child with energy. Jessica Conars is freelance blogger. She works a part-time job for Wimbledon cleaning services, which gives her the time she needs to write.